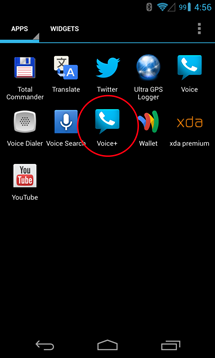 Longtime Google Voice users have had but one dream, total integration with the operating system. We've seen a few bits and pieces roll out from time to time, like support for automatic calling through your Google Voice number and having voicemail directly accessible in the stock dialer. 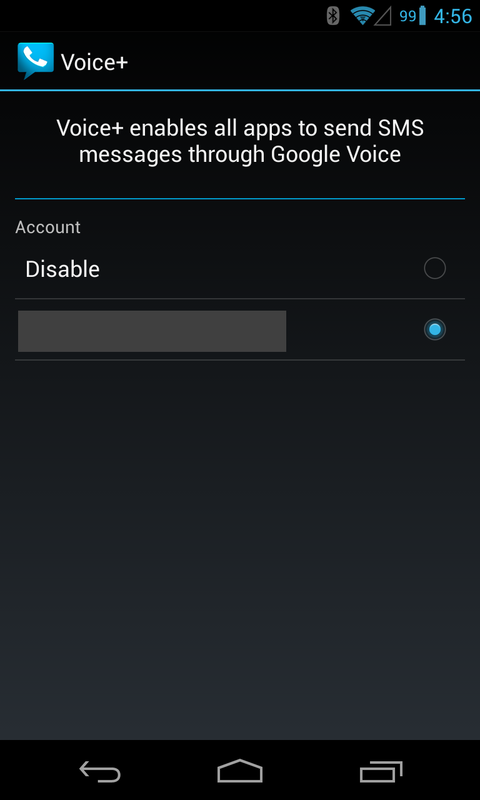 But one feature continues to evade us: sending and receiving SMS messages through Voice with 3rd-party apps. CyanogenMod and Koushik Dutta (Koush) have officially broken that barrier with Voice Plus. Announced earlier this month, support for the feature was made possible on CyanogenMod nightlies from July 1st and later, but still required a manual setup process. However, the necessary changes have been merged into the codebase and Voice Plus is shipping with nightlies built on July 22nd and after. The Google Voice app is still required and it must be signed into an account, but activation is as simple as opening the Voice+ app (first screenshot) and picking which account you would like to route your messages through. 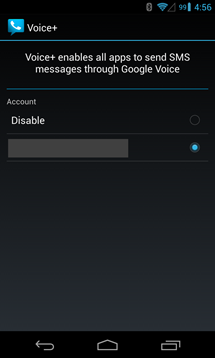 Once configured, any texting app on your device will use the chosen Google Voice account transparently. Of course, this will do nothing to solve the lack of MMS support in Google Voice, nor does it "unify" our messaging platform as we had hoped, but Hangouts may still deliver on these in the future. In the meantime, CyanogenMod users can now use the texting app of their choice for a more streamlined Google Voice experience.